Nikken Building 7F, 2-6-31 Kaigan, Minato, Tokyo, 105-0022, Japan. 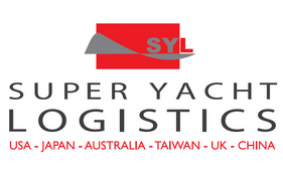 Super Yacht Logistics (SYL) Japan is a full service yacht support company and licensed shipping agent based in Japan. The main two offices are in Osaka and Yokohama (near Tokyo), with satellite offices and staff in Hokkaido, Kyushu, Hiroshima and Okinawa, and other locations throughout the more than 6,800 fabulous islands of Japan. SYL Japan offers a complete range of logistics, from government paperwork processing for cruising Japan, to interpreters, translators and tour guides. Parts and supplies are available both locally in Japan and direct from our sister company SYL Florida. SYL regularly provides dockage for up to 80 meter yachts within Japan’s many marinas and smart (yacht standard) commercial dockage for larger yachts. In addition to cruising yachts, SYL is heavily involved in the domestic yachting industry, buying, selling, management and chartering yachts in Japan, and around the world; and importing yachts from the West for Japanese yacht owners. Staffed by yacht professionals, well experienced in captaining and crewing mega yachts, SYL understands what yachts, their crews and ultimately the owner and guests require. SYL is the only dedicated yacht agency in Japan and is ready to assist you with all of your requirements for experiencing the magnificent cruising waters, ancient heritage, and wonderful people of the Land of the Rising Sun.